The EURUSD currency pair took another lurch lower today. The single currency came under further selling pressure following the release of a clutch of disappointing Services and Manufacturing PMIs from across the Euro zone. The IHS Markit Euro zone Composite PMI fell to 54.1 in May from 55.1 in the previous month, below the 55.0 expected. This was the slowest expansion in private sector activity since November 2016 and displays a worrying downward trend. This has added to concerns that the Euro zone GDP growth may not bounce back after recording a disappointing quarter-on-quarter reading of just +0.4% for the three months to March 2018. The news makes it even more difficult for the European Central Bank (ECB) to produce a detailed roadmap for further winding down its Asset Purchase Programme. This is consistent with comments last night from ECB Governing Council member Benoit Coeure who said bank’s monthly bond purchases won’t end abruptly after September, although he hedged himself by saying he wasn’t worried by last quarter’s slowdown in growth and was confident that inflation will rise. Meanwhile, US Manufacturing and Services PMIs both increased from the prior month, further emphasising the divergence between the US and euro zone economies. This only helped to encourage traders to increase their exposure to the dollar. All this is playing out against the backdrop of an unsettled political situation in Italy. The Five Star Movement and Northern League have put forward Giuseppe Conte, a relatively obscure (and now somewhat controversial) economics professor, as their preferred candidate for Prime Minister. 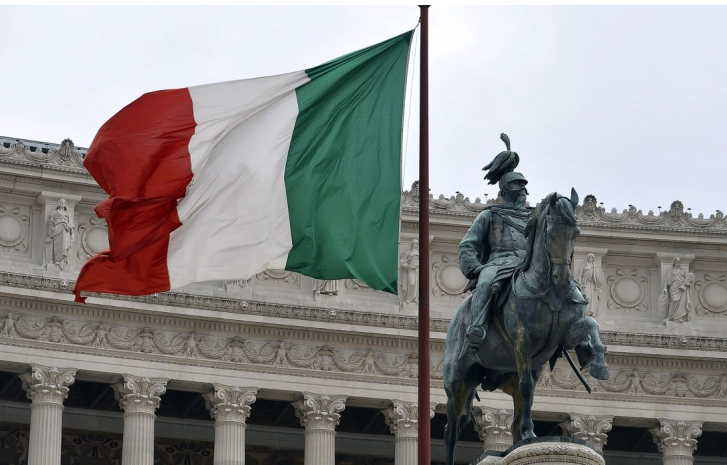 Italian President Sergio Mattarella was understood to be stalling his decision and thereby holding up the formation of a new government. However, it was reported by ‘La Repubblica’ earlier today that he has now approved Conte and asked him to try and form a government. This means that Italy could now governed by two Eurosceptic parties who appear determined to face down Brussels and blow out the country’s budget. All this has contributed to euro weakness which saw the EURUSD hit its lowest level so far this year. The sell-off accelerated after the pair broke out of the triangle pattern towards the end of April and since then the euro has lost around 4.5% against the dollar. Looking at the daily chart, the EURUSD is approaching support around 1.1700. This is roughly where the two shoulders of last year’s inverse head and shoulders pattern formed last year. A break below here opens the possibility of a fall towards the ‘head’ which comes in around 1.1600.